Elbow pain is a common problem that many people deal with on a daily basis. It can be caused by a variety of different issues and therefore, the treatment for elbow pain can vary greatly. At Caron Chiropractic Clinic, P.A., in St. Paul, we don’t believe in just treating your elbow pain. We want to get down to the root of your pain and correct the issue so that your body can heal. We realize that every patient is different and therefore, we customize all of our treatments based on your specific needs. At Caron Chiropractic Clinic, P.A., we take an integrated approach to your elbow pain treatments. Elbow pain can present itself in all different manners. First and most obvious, traumatic elbow injuries. Perhaps you had a fall or even a car accident. These traumatic injuries to the elbows can lead to life-long pain if not corrected early on. Elbow pain can also stem from overuse injuries. Tennis or golfer’s elbow is a common term that comes from overusing the elbow joint. In these cases, tendonitis can develop and leave the elbow swollen and painful. The same can be said for elbow arthritis. If your work requires constant over usage of your elbow, you may be more likely to develop arthritis in the area. Elbow pain can also be caused by nerves that are stretched or out of place. Not only can nerves cause pain, but they can also lead to numbness and tingling in the joint. No matter what type of elbow pain you may be going thru, Caron Chiropractic is here to help. At Caron Chiropractic Clinic, P.A., we believe in treating your elbow pain rather than masking its symptoms with invasive surgeries or medications. Chiropractic adjustments can help by reducing joint restrictions or misalignments to the elbow joint. Thus, reducing the inflammation and improving the function of the elbow joint overall. We then gradually focus on increasing the joint mobility and work to get your elbow back to peak condition. 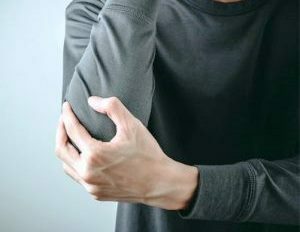 By decreasing your inflammation, improving your range of motion and increasing your muscle tone and strength around the elbow area, your elbow pain and discomfort will dramatically reduce or resolve altogether. If you are seeking elbow pain treatment in St. Paul, MN, start looking at healing the issue rather than masking it with medications. 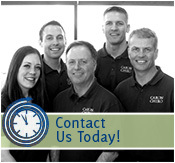 Caron Chiropractic is an insurance approved chiropractic injury treatment center. We provide long lasting, natural relief for elbow pain in St. Paul, MN. For more information about elbow pain treatment in St. Paul and our services here at Caron Chiropractic Clinic, give us a call today at (651) 255-9999. This entry was posted	on Thursday, January 17th, 2019 at 11:47 pm	and is filed under Pain Relief, St Paul Chiroprator, Tennis Elbow. You can follow any responses to this entry through the RSS 2.0 feed. You can leave a response, or trackback from your own site.